Displays the type of the attribute. Displays the size of the attribute. 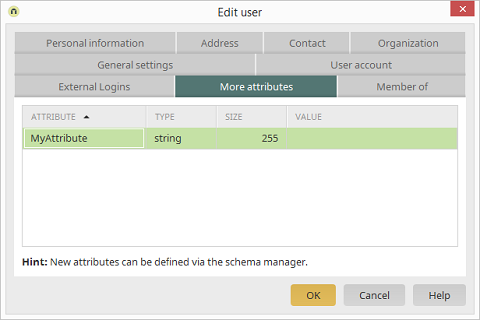 Additional attributes for the "User" object class can be created in the Schema manager. These are then automatically shown here and can be filled with values.